Your Los Alamitos, CA Dentist's Office! "...To serve our patients with respect, integrity and dignity. Provide a dental home for all of our patient's dental needs. Conduct dentistry in a Biomimetic Fashion meaning -Mimetic to copy and Bio- nature. To best copy nature is to preserve nature itself, leading to the philosophy of being conservative and to save tooth structure as much as possible..."
Welcome to the office of Edward Luong, DMD, a compassionate and skilled dentist in Los Alamitos, California. We have a top-notch dental team with a gentle touch ready to provide you with the quality dentistry you deserve. At our dental practice, we offer the latest in dental technology to give you optimal dental care – everything from preventative care and fillings to crowns, cosmetic dentistry, and implants. We are constantly learning and exploring the latest dental knowledge through continuing education to keep current on the best techniques to offer our patients. We also understand the importance of providing our patients with the highest level of service to make your visits pleasant and stress-free. 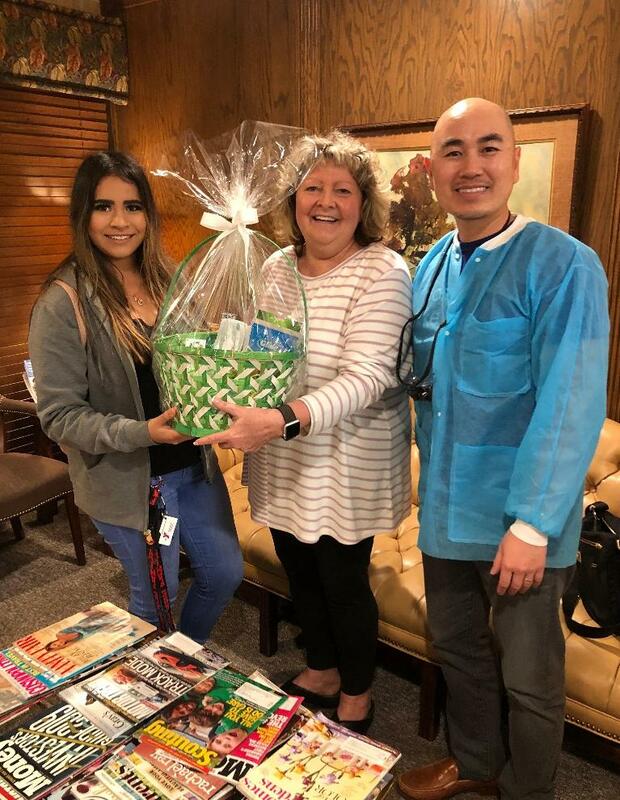 When you're a patient of Dr. Luong, you're a part of our dental care family! We have the training and experience to treat your entire family, and a gentle touch that every patient appreciates. We love watching our younger patients grow up and being a part of their lives, ensuring they have healthy teeth at every age. It's a special privilege to be involved in our patients' lives and catch up with them during each visit. We also love meeting new patients and getting to know you as our dental family grows. We believe that the best results for our patients come from using metal-free materials for our procedures, and we strive to do so whenever possible. While we do offer some metal restorations such as gold crowns, if that is your preference, we've found that our metal-free porcelain and tooth-colored resin give a superior esthetic for restorations without sacrificing strength and durability. Metal-free dentistry also reduces the risk of sensitivity to metals causing problems with your restorations over time. We use biocompatible materials that won't aggravate metal allergies and are accepted readily by your body as a natural part of it for a healthier mouth and a natural smile. We have many patients who suffer from dental anxiety, whether from a bad dental experience in their past, a fear of dental procedures they don't understand or for many other reasons. We strive to create an environment in our Los Alamitos dental office that is calming and relaxing. We have many amenities to put you at ease, including complimentary water and coffee, music by Pandora Radio or Netflix instant videos, and a neck pillow and blanket to make you comfortable in the dentist's chair. If you suffer from extreme dental anxiety, we also offer anxiety-free dentistry to make your trip to the dentist a less stressful experience. We strive to treat our patients with respect, honesty, and dignity, and to treat each patient as we would a member of the family. To find out more about the high level of care and service you will receive at our Los Alamitos dental office, or if you have any questions about our practice, call today to schedule your appointment.